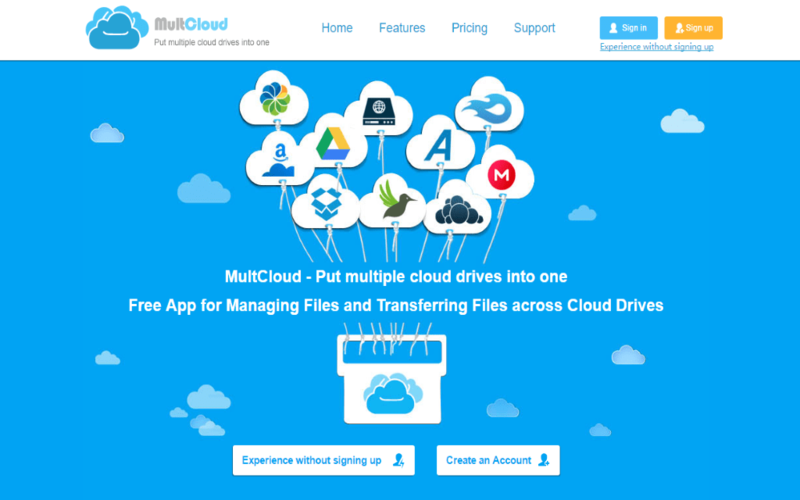 Five months passed, MultCloud updated again! What surprises it brings to us this time? We think you have guessed the answer from the title! Yes, cloud sync service is the biggest change in MultCloud 4.0. Please read on and see what’s new in MultCloud 4.0. Buttons on the top of MultCloud’s interface changed name and added something new. 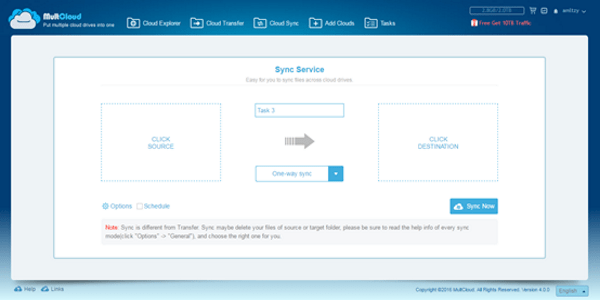 Click Cloud Sync to switch to Sync Service as following picture shows. You can type a task name. Default is One-way sync, click the arrow will become to Two-way sync. 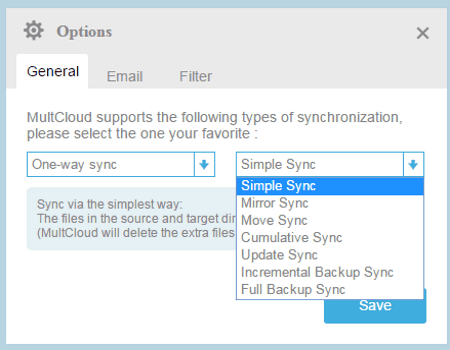 In fact, there are eight ways to sync cloud drive in total. You can select a way from drop-down menu or Options window. Seven types in One-way sync are Simple sync, Mirror sync, Move sync, Cumulative sync, Update sync, Incremental backup sync and Full backup sync. We highly suggest you to read the help and understand the meaning before selecting. Because synchronization is different from transmission. 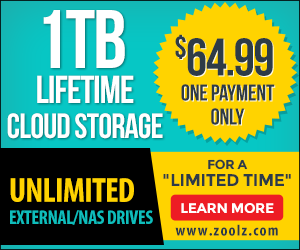 Some syncs may delete your files in the cloud service. After choosing a way to sync, it’s time to decide to sync now or schedule later. The process is the same as scheduled file copy. Now let’s see MultCloud’s Task Manager. There are two ways to enter in. One is clicking the Tasks button on the top, another is clicking the small icon on the top right. All your task will be saved in this window, you can search and check your history tasks, commit the task again or cancel the task in progress or re-edit the task. In additional, you can check and add uploading URL task by clicking the URL Tasks on the left. Another way to upload URL is selecting Upload in right context menu in cloud drive under Cloud Explorer window. Since MultCloud improved share function. 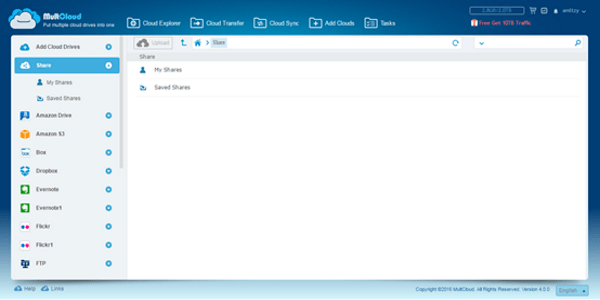 Under Cloud Explore window, there is a Share manager. You can manage your created shares and received shares here. 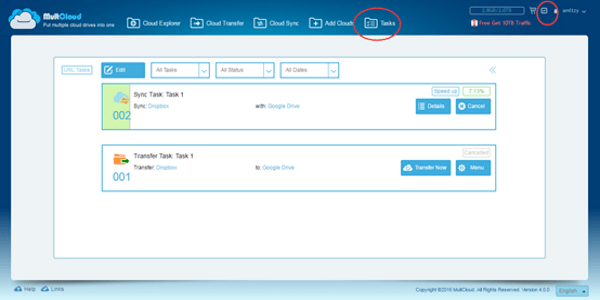 MultCloud has more and more features, it will help us better to manage multiple clouds in one place. We have to say MultCloud is an excellent app. I like it!